Avenue’s two-story three-bedroom homes’ prices range from $179,000 to $189,000, as compared to Houston’s median home price of $237,500, appealing to 32% of residents living below the federal poverty level. Phase I of Avenue Meadows is a new community of energy-efficient affordable homes. 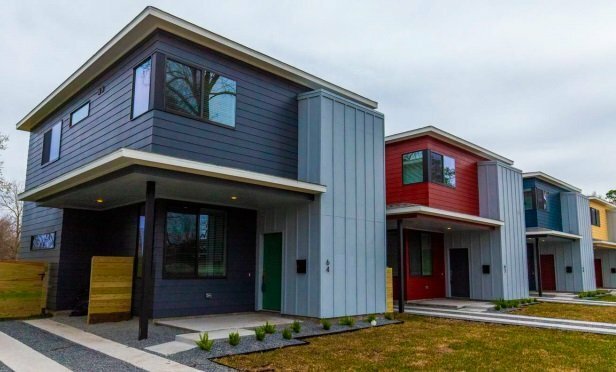 HOUSTON—Avenue recently completed construction on Phase I of Avenue Meadows, a new community of energy-efficient affordable homes located near the city’s urban core in Northline. The community, which began construction in April 2018, features 10 energy-efficient single-family homes targeted for low- to moderate-income buyers, as well as market-rate buyers.